Fully-Equipped 24/7 Emergency Vet Clinic – 365 Days a Year! When your beloved pet is in pain or physical distress of any kind, isn’t it a comfort to know that there’s an open veterinary clinic nearby, day or night? The Niagara Veterinary Emergency Clinic (NVEC) in Thorold operates every hour of every day, even holidays. 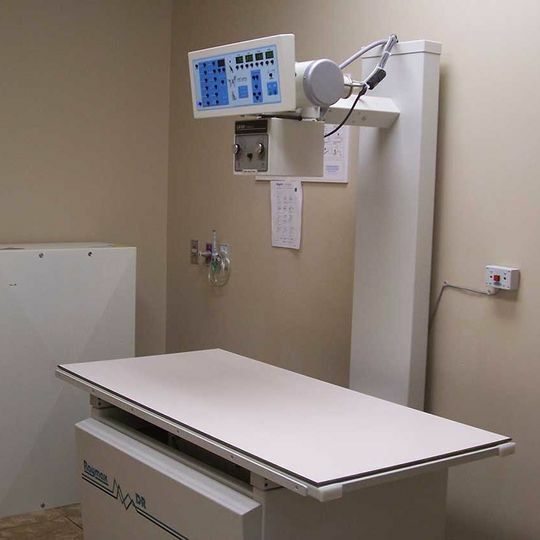 We’re a fully equipped emergency veterinary clinic, with state-of-the-art digital X-rays, ultrasound equipment, and an on-site laboratory. We can even perform emergency surgery. The Niagara Veterinary Emergency Clinic has an experienced team ready to meet your pet’s needs at any time. 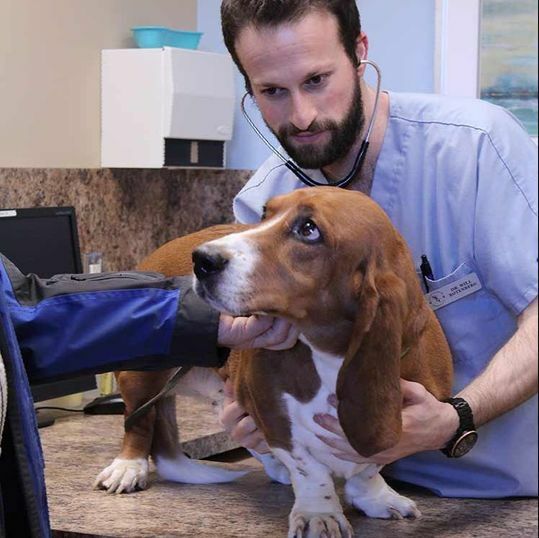 We have several full time veterinarians, veterinary technicians, receptionists and animal care attendants, whose passion is emergency medicine and who take pride in providing compassionate care to our clients and quality medical care and lots of TLC to our patients. A veterinary emergency hospital is just like a human emergency department—it can be unpredictable and you may have to wait. Evenings, weekends and holidays are typically our busier times and we do have additional team members on staff; however, we cannot predict what cases we will see and when they will arrive. We prioritize cases by their medical needs. We provide a comfortable area for waiting, with refreshments and entertainment and we will do our best to keep you updated about wait times and the status of your pet. If possible, please call us first so that we can be prepared for your arrival. We may suggest immediate first aid over the phone and can provide specific directions to the clinic. Directions are also on our website. Transporting your pet to NVEC may take longer than to your regular clinic, however this is compensated by the immediate availability of our qualified and experienced emergency veterinary team. On arrival, you and your pet will be shown to an exam room and asked to complete admission forms. We charge an emergency fee to help to cover the expenses of running a 24-hour equipped emergency facility. A veterinary technician will triage your pet, and then a veterinarian will do a full examination of your pet. We charge an examination fee for this. Once assessed, we will provide you with options for treatment and the veterinarian will work with you to determine an appropriate treatment plan for your pet. You will need to pay the full amount of the estimated treatment plan before we proceed. Because we are open 24 hours, if your pet is admitted to hospital, you have the option of keeping your pet in hospital rather than transporting your pet back and forth between NVEC and your regular clinic. You may come and visit your pet while they are in the hospital and our team will contact you with regular updates about their status and care. While in our care, our dedicated team will treat your pet as if they were our own. We keep your regular clinic updated with your pet’s medical history and files to ensure seamless, integrated care. If your pet is experiencing an emergency, you can rely on our dedicated medical team to provide quality, effective, and compassionate care. To help us prepare for your pet’s emergency after-hours veterinary service, please call ahead.